Third Eye Blind announced today they were embarking on a 31-city headlining tour this summer with Silversun Pickups as one of the opening acts. Another special guest will be announced soon. They will hit Saint Louis on July 11 with a performance at the Hollywood Casino Amphitheatre. It will mar the first time the band has played the venue since a 2002 engagement. Tickets go on sale to the general public beginning Thursday, January 26 at 10:00 am at the Golds Gym box office at the Hollywood Casino Amphitheatre and at livenation.com. The press release and tour dates for the other shows are below. SAN FRANCISCO (January 18, 2017) – In recognition to their fans for 20 years down, Third Eye Blind will, for the first time in their storied history, play their debut album, considered one of the great rock records of all time, in its entirety, as part of a night of music including their latest, We Are Drugs. The 31-show amphitheater tour kicks off Friday, June 9 and runs through Sunday, July 23 in a homecoming at the band’s birthplace, the historic Greek Theatre in Berkley, CA. The Summer Gods Tour will visit amphitheaters across North America including New York, Los Angeles, Chicago, Toronto, and New Orleans. Please see www.livenation.com for dates. Tickets go on sale Thursday, January 26th. Third Eye Blind was everywhere in 2016. We Are Drugs hit iTunes top 5 alternative records. They sold out numerous headline shows and set attendance records at 2016 Summer music festivals worldwide including Outside Lands, Lollapalooza, Bonnaroo, Tokyo’s Summersonic, and UK’s Reading and Leeds Festivals. 3eb have continually trended, making headlines in the political arena with Stephan Jenkins’ hold- nothing- back opinion pieces and trolling of the RNC. Third Eye Blind are clearly one of the most vibrant and volatile rock acts of the moment. 3eb also recently landed on national headlines during a surf session when they were filmed by paparazzi while rescuing a group of kids caught in a rip current off the beaches of North Carolina. This lifeguard incident came with a special twist, as it occurred after the band had just performed a benefit show in support of the NC Transgender community’s efforts to defeat the odious HB2 legislation. The release of the We Are Drugs EP is the next chapter in Third Eye Blind’s legacy – a fully-realized body of work that incorporates the band’s perfect pop sensibility with an ever-present progressive intent. Jenkins utilizes his characteristic rhythmic vocal style and lyrical prowess on issues of identity, connection, isolation and authenticity while keeping a sharp eye on a culture in rapid change. 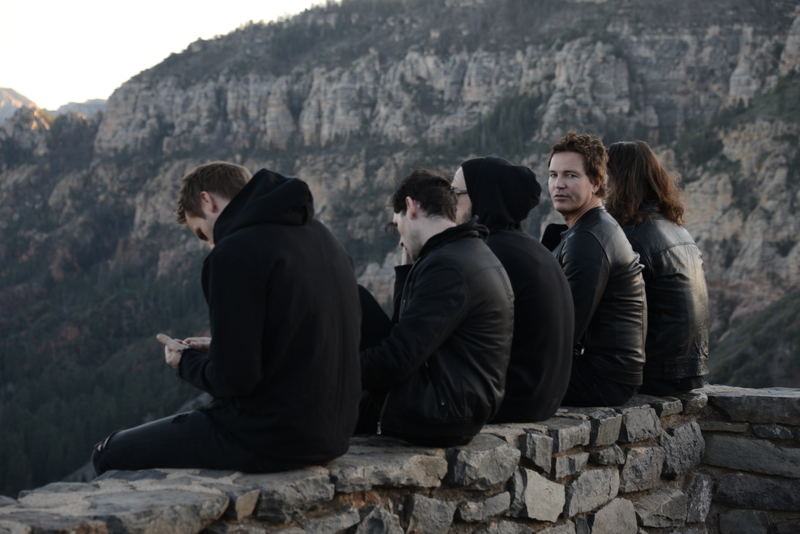 Third Eye Blind continues to write, record and tour, while growing a larger, younger and more dedicated fanbase than ever. 2017 is where Third Eye Blind shows gratitude for 20 years and counting. They are a band focused on the future though, so look for surprises leading up to The Summer Gods Tour. 3eb represents the “rock” part in Summer Rock Tours – no sequencers, no backing tracks, they make something true, transcendent and passionate every night. Third Eye Blind seeks to foster a festival environment so they have invited along a group of like-minded friends along including very special guests Silversun Pickups. Silversun Pickups is among the most dynamic and creative rock bands of the modern era, hailed far and wide for their inimitable merging of ethereal melodies and pure sonic force. From the indie rock opening salvo of 2005’s Pikul EP to 2012’s far-reaching Neck Of The Woods, each successive release has seen the Silverlake, CA-based band boldly venture into uncharted terrain, bravely pushing their imagination and ability towards new and surprising summits. Better Nature marks the debut release from Silversun Pickups’ own New Machine Recordings. Another special guest will be announced soon and 3eb has been known to pop in to parking lot parties before the show so we invite you to get tickets and come early and we will see you this Summer. Citi is the official credit card of the Summer Gods Tour. Citi cardmembers can take advantage of a special presale opportunity beginning on Tuesday, January 24 at 10:00 am local time. For complete pre-sale details visit: www.citiprivatepass.com. ** 20th Anniversary of the Self –Titled release- these dates have a different on sale date.